by Martin Malden on 25 February, 2011. Last updated on 26 January, 2018. As frustrating and irritating as I often find Google and its services to be, it does have some good ones. One of my clients is a bar and restaurant here in Hong Kong and they often take pictures of parties and other events they hold. Being in the F & B industry, the management and staff are not as comfortable with techie stuff as those who regularly work online are. So I’ve set up as many things as possible for them in Google. Email is directed from their company email address to Gmail (I described how here), their events calendar is embedded from Google Calendar (see how here) and their image galleries are embedded from Google Picasa. All that means that they don’t have to worry about accessing and updating WordPress – they can do pretty much everything they need to do through their Google account. 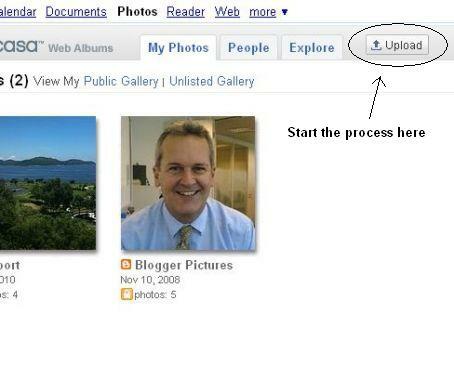 Activate Google Picasa in your Google account and access it. 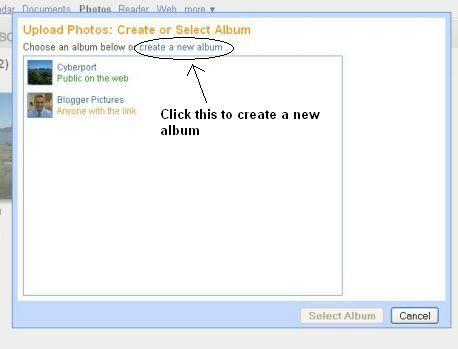 Note – if you install the desktop version of Picasa on your machine you can select entire folders of images, making the upload process much more efficient. 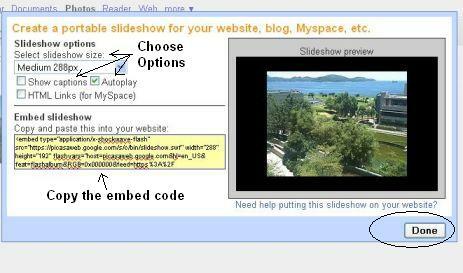 You can choose either a link for an email or the embed code for a website. If you’re embedding your slide-show into a normal HTML page, paste the embed code into the page where you want it to appear. If you’re embedding it in WordPress then select the HTML view and paste the code into the correct location. If you have problems positioning the code in your page you may have come up against the WordPress HTML filters. I use the Raw-HTML plugin on all WordPress sites I build and, by default, activate that whenever I want to embed scripts and other HTML in WordPress. This is so neat. I can’t wait to try it. Thanks so much. You always have such good advice, but this one really got me excited. Excellent – I’m delighted you liked it! It works well on my client’s site and I do the same thing (but with Flickr) on my travel sites and it works well there too. Martin, I’ve been looking for a way for my clients to upload photos into the thesis theme without frustrating them half to death and this looks like the answer! Yes – I use Google a lot for enabling non-techie clients to do stuff on their sites. In addition to uploading photos, I also embed Google Calendar if they want to be able to operate a calendar of events on their site, and I set up their email on Gmail, complete with proper signatures, reply-to/from addresses etc, to save them having to battle with Outlook. It enables them to do pretty much everything they need to with one log in, in an interface that’s easy and without the risk of screwing up the site. THanks so much for this!!!!! I really want ot have all the photos in 1 photosharing place (either picasa, or wordpress, or msn sky drive) and so far picasa has this neat embed slideshow thing. 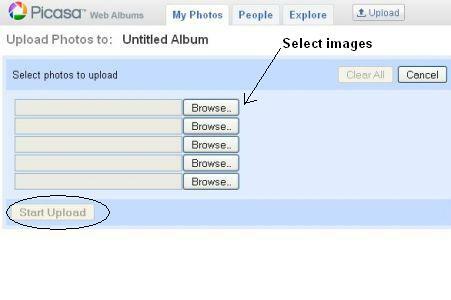 WHen i click the first one it goes to a blank page and the second one takes me to the picasa album. but its still not embedded. do u know why? 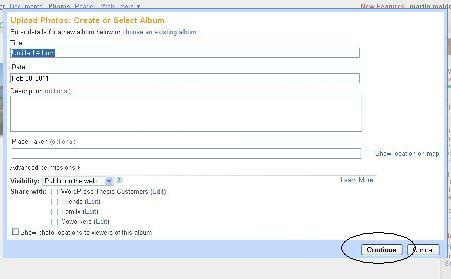 Make sure you first click the ‘Link to this album’ link, then click the ’embed slideshow’ link, which is below the two snippets of code that appear after clicking ‘link to this album’. 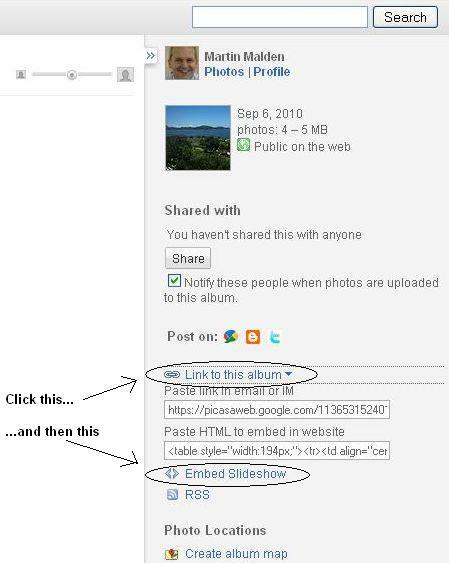 When you click ’embed slideshow’ a new, small window will pop up – that one contains the code you need to paste into your page.